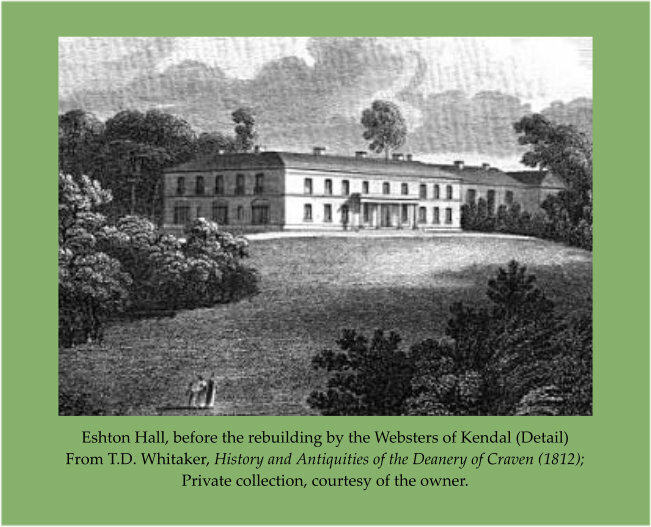 As a landowner and proprietor of Eshton Hall near Gargrave, Mary Richardson Currer (1781-1861) exercised considerable influence in the old West Riding of Yorkshire. 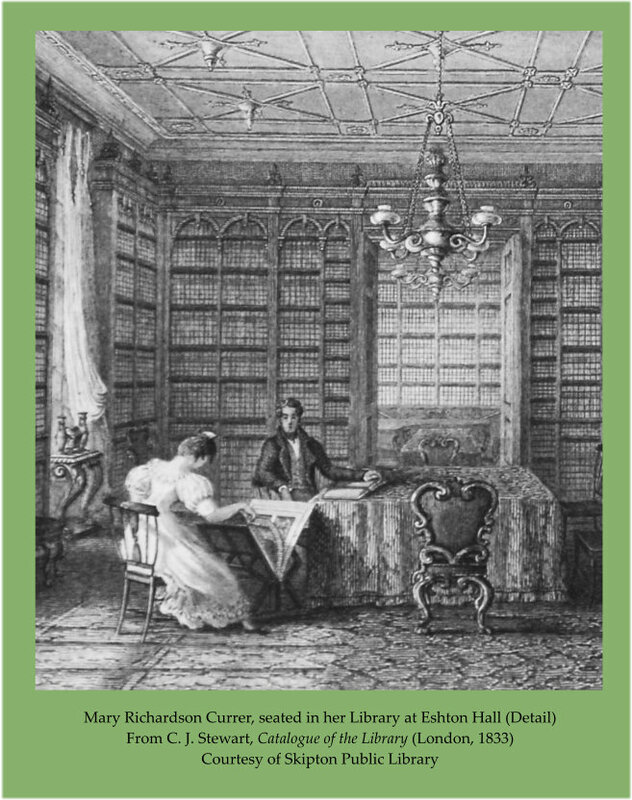 Although she never met the Brontës, both families were on visiting terms with the Revd. Theodore Dury (1788-1850), Rector of St Andrew’s Church, Keighley, through whom, apparently, she negotiated a gift to Patrick Brontë (1777-1861) of fifty pounds (£50) following the death of his wife Maria, née Branwell (1813-1821) in September 1821. This made good the Brontë family’s loss of her annuity of a similar amount. Although it had been intended as a gift, in due course, Patrick returned the amount through the charitable clergy channel that had conveyed it to him. In the decades surrounding the Reform Acts (1832 and 1866), the responsibilities of the clergy and their associates, the landowning gentry, among them Miss Currer, included among their responsibilities the management of schools, roads, drainage and other services that have subsequently passed to elected local government bodies. Charlotte Brontë (1816-1855) recognised Miss Currer’s eminence in the region by adopting her name as her nom-de-plume, ‘Currer Bell’. In addition, Charlotte drew on Miss Currer as a role model in her village activities, notably the Haworth Sunday School, where she acted as instructor. 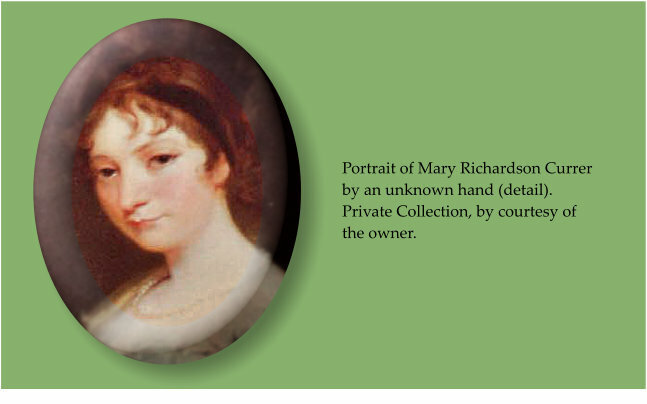 Indirectly, too, Charlotte’s extraordinarily wide reading would have been encouraged by the example of Miss Currer’s local celebrity as the collector of a formidable private library. Although Charlotte’s portrayal of Shirley Keeldar, the heroine of Shirley (1849), is mainly an expression of admiration for the strong, managing character of Emily Brontë (1818-1848), whose death left the Parsonage desolate, Charlotte seems to have drawn on the image of Miss Currer for her literary portrait of a forceful, kind-hearted, landowning character. Both sisters had reason to admire this local landowner, who maintained a strong presence in the affairs of the old West Riding, not least in her gift of books and shelving to the Keighley Mechanics’ Institute Library. Despite contrary suggestions, many of the Institute’s books are echoed in the Brontë sisters’ writings.